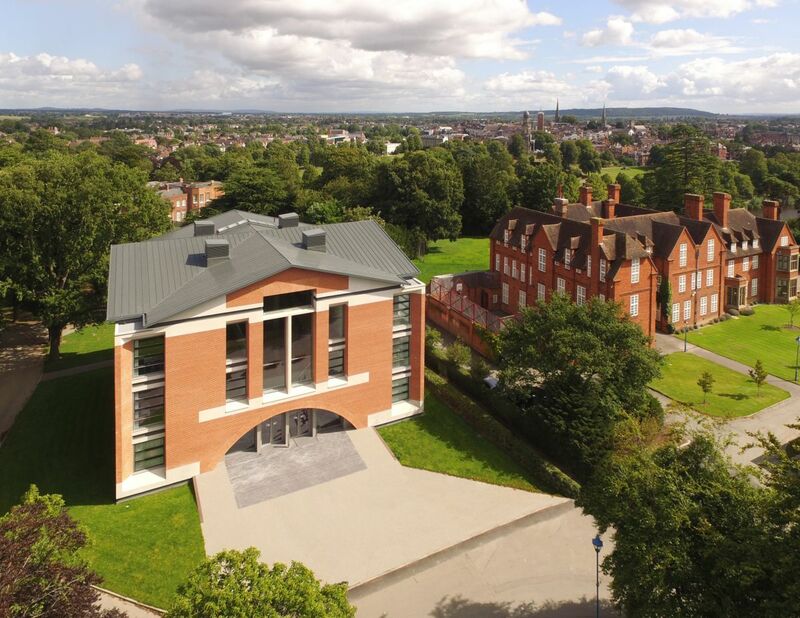 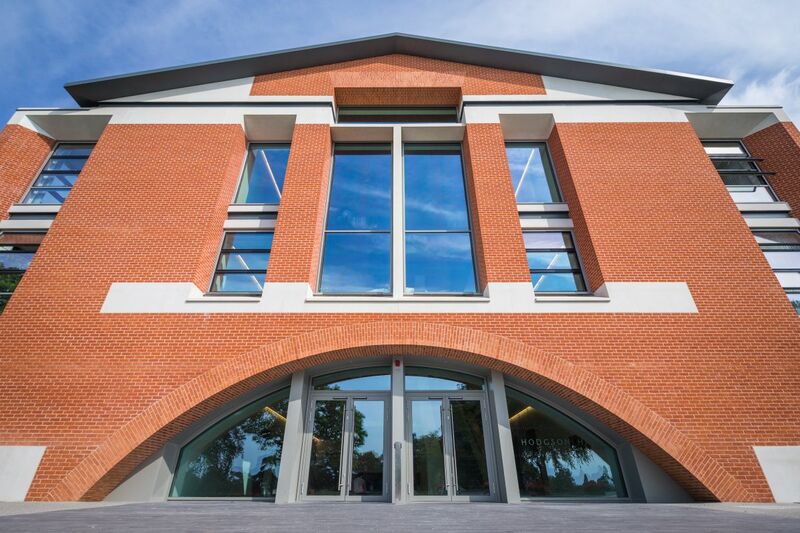 A new flagship academic building for one of the country’s leading public schools, Hodgson Hall sits at the heart of Shrewsbury School’s historic campus in the Kingsland Conservation Area. 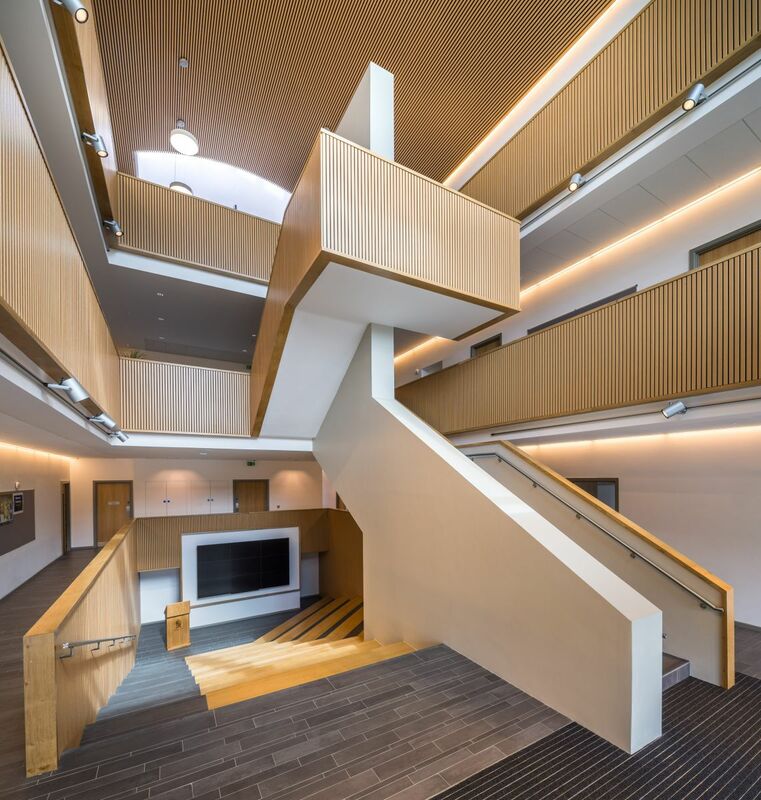 It contains classrooms for 5 humanities departments, plus an innovative teaching forum in the dramatic light-filled atrium. 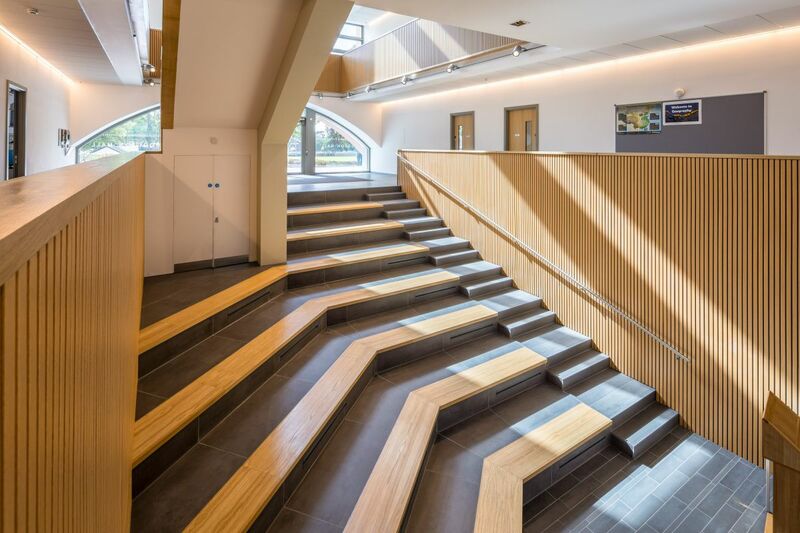 AJA won the design competition for the project partly because they stretched the brief to include this new focal space. 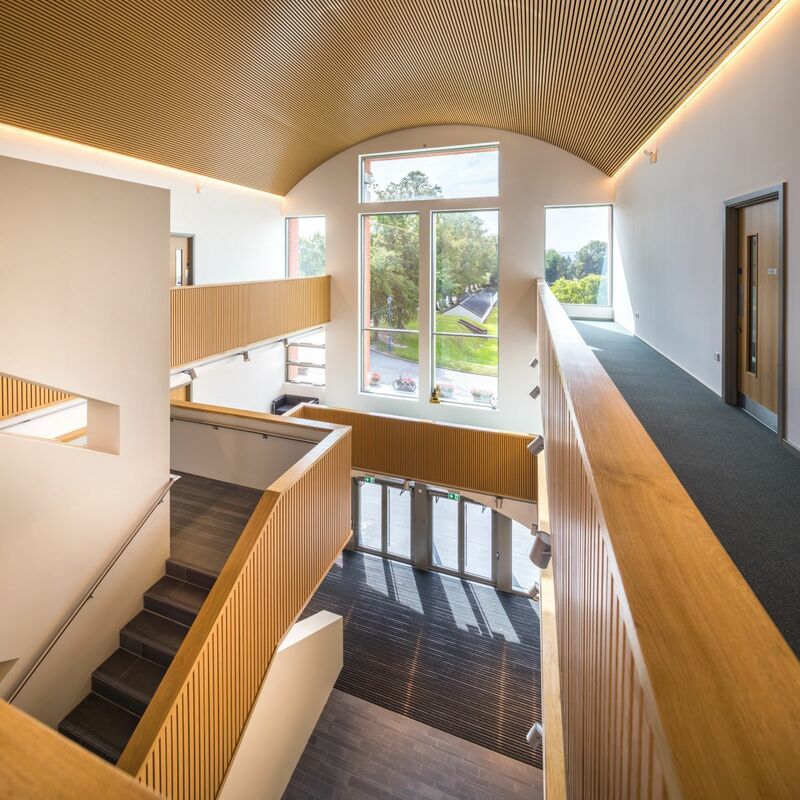 Other competitors included the rather grander Eric Parry Architects and Glenn Howells Architects. 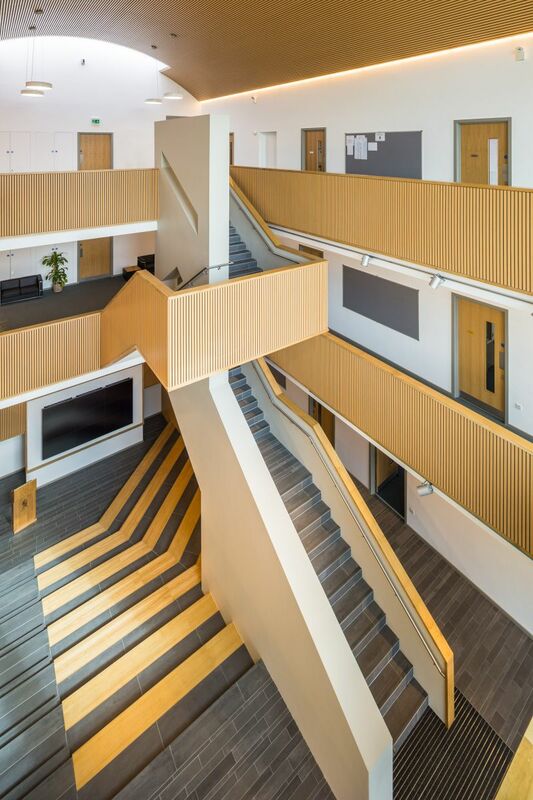 The building is designed to provide superb teaching facilities but also to sit comfortably amongst the school’s august Edwardian piles and to feel as if it is built to last like the institution it embodies. 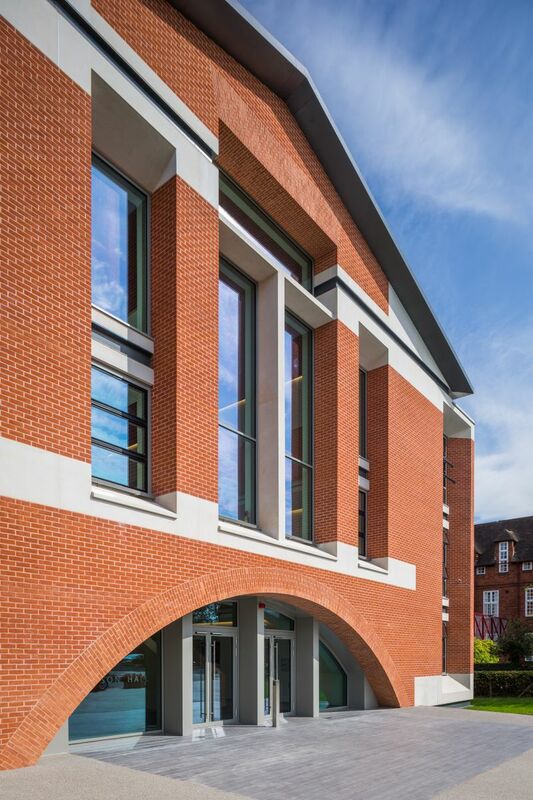 It is all about formalism and mass: a four-square symmetrical design whose huge arches and deep reveals give the impression it has been hewn from a solid cube of brick and stone. 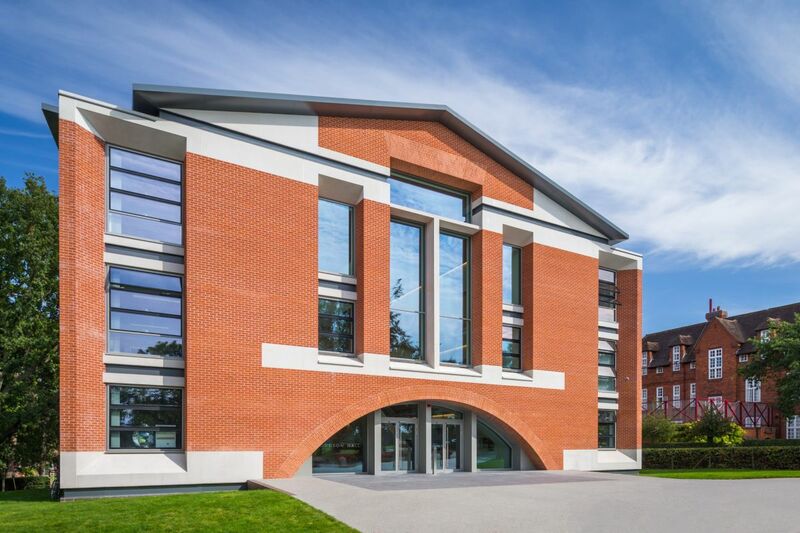 Hodgson Hall was completed on time and on budget in July 2015. 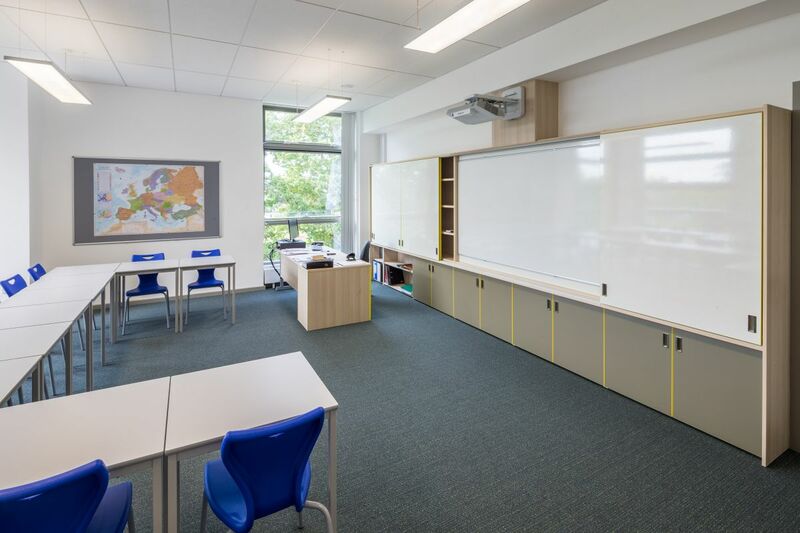 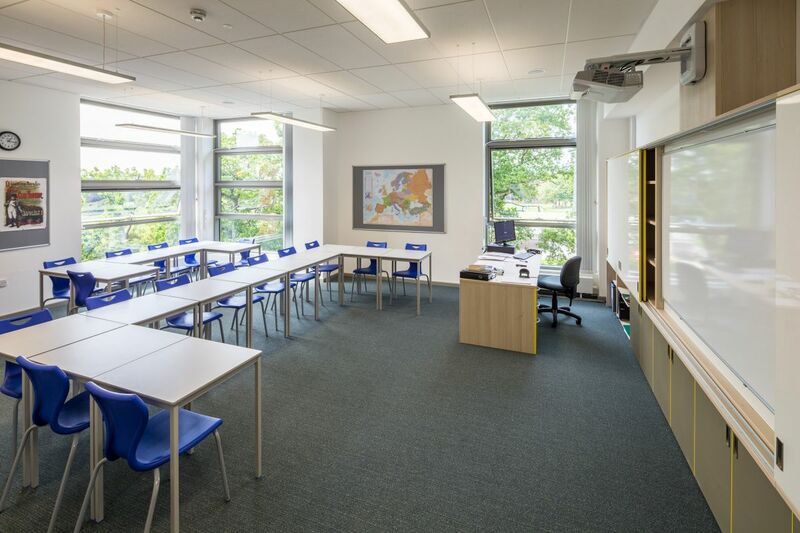 “The more time we spend in Hodgson Hall, the louder the applause for what is universally regarded as a fabulous addition to our teaching facilities.” – See the headmaster’s full testimonial here. 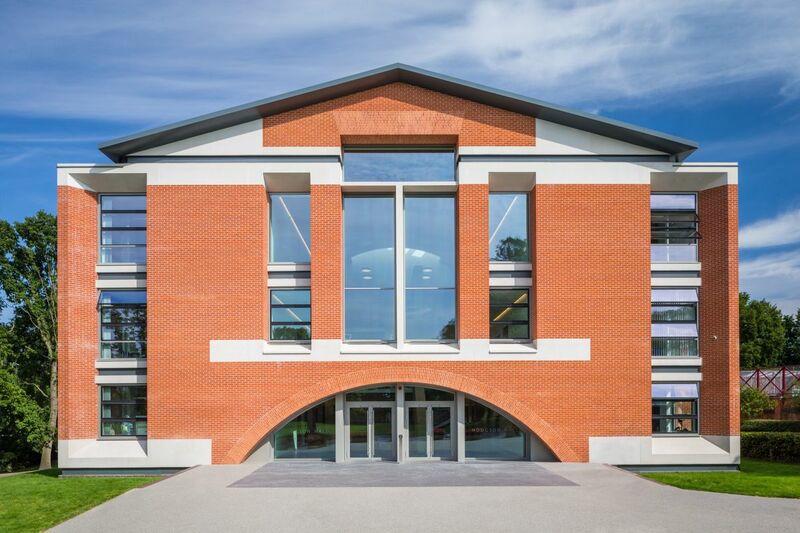 Read our thoughts on architectural symmetry here.